Curly boy: Doll Quilt Swap Received! 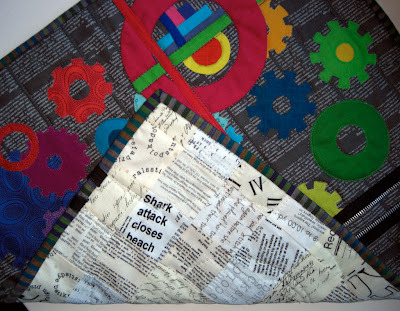 As promised, this post is about the fab little quilt I received from the Doll Quilt Swap. It was made by Teri Emerson, she goes by the name Craktpot on Flickr, and you can see her stuff here and here. 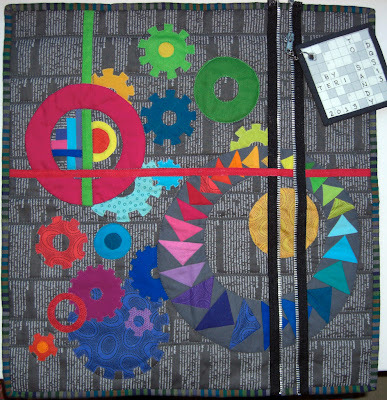 I watched this quilt being made from start to finish in the group photos and it was one of only three or four that I really wanted. I was so happy it came to me I shouted "I win!" when I opened the package! Now how cool it THAT??? She got my love of bright colours and curved flying geese spot on! I'm really impressed with the amount of planning and thought that went into it. You can see some of the in progress pictures in her photostream here. She even pieced the back! 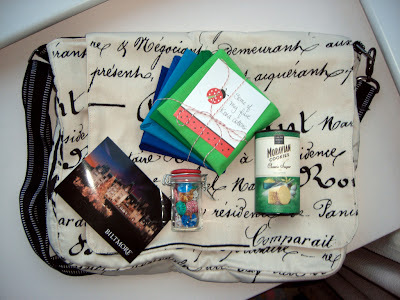 Teri also sent along some fab goodies. 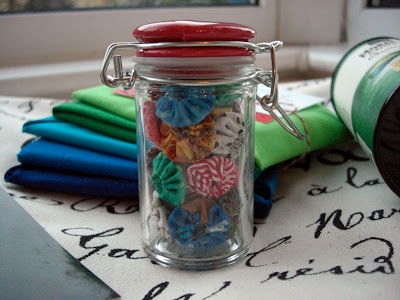 Fabric is always good, biscuits are better, but the bag and little yo-yo's blew me away! The bag is huge and has loads of pouches and zippered compartments inside. She said she made it to rest out a pattern and I think it came out perfectly. I'm not really a "man-bag" sort of guy but this will be perfect for when we go on holiday to Cyprus in a few weeks. Thanks sooooooooo much Teri! She said they are made by a local disabled lady who sells them for some extra money since she can't work. Apparently she was very excited about them going abroad to England. Bless! One last close up of quilty goodness? Yes, please! 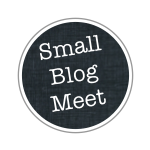 Thanks for the bloggy and links! So glad you think you 'won' with this doll quilt. The design seemed to magically come together. 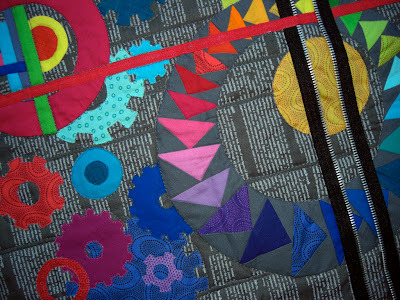 The cogs: now there's some slow-sewing fun! =) They were worth it for the loosely place rainbow spectrum that crawls between the two larger elements. I got excited about the idea for the heavy metal zippered stripes (so many had poopoo'ed the stripes in the drawing.) The movement of the zipping piece was so bonus! Hope Cyprus in the news hasn't hindered any holiday plans. Hope it's super! Finally a new post! 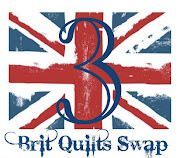 Brit Quilt Swap 3 received!